From my last hiking boot review you may recall that I need sturdy, comfortable and well-fitting boots in a wider fitting than is usual in women’s hiking boots. My Keen Targhee II Mid trail hikers are all that. I do need to confess though that I bought my Targhee’s out of frustration. I wanted a lighter weight trail hiker and the price was reduced so I couldn’t refuse. They’re just not pretty! To be absolutely fair, this is the most comfortable, wider fit, seriously sturdy and robust hiker I have worn. And at only 962 grams per pair lightweight for a boot! 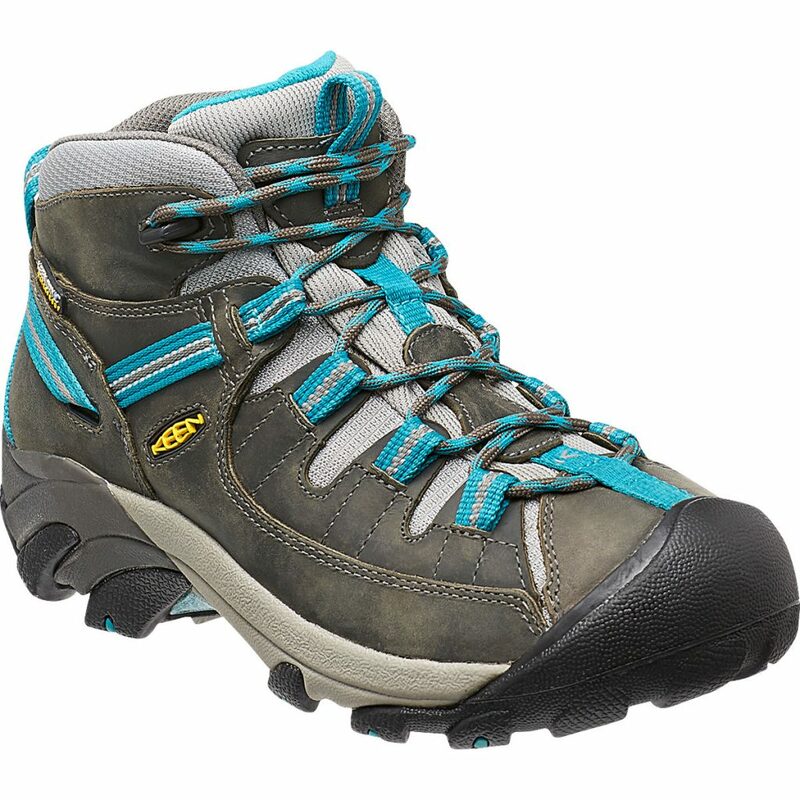 My last hiking boot review was on the Vasque Taku GTX and I referred to them as ‘aesthetically pleasing’. Sadly, I just can’t bring myself to say anything positive in this regard about the Targhee II Mid. The boot is bulky and if you have a larger or wider foot like me, then the last thing you want to do is draw attention to your feet. Now Tim often tells me that no one is looking at the feet of a middle aged woman so I guess I need to accept that comfort is THE most important factor. I have worn my Targhee’s in a range of conditions and varied terrain on short and longer hikes and they have not let me down. They provide plenty of room in the toe area, and also have locking eyelets at the top that allow you to adjust the ankle tension. I also cross over the laces between the third and second from the top eyelets to allow ‘looser’ lacing around the toes and firmer lacing closer to the ankle. 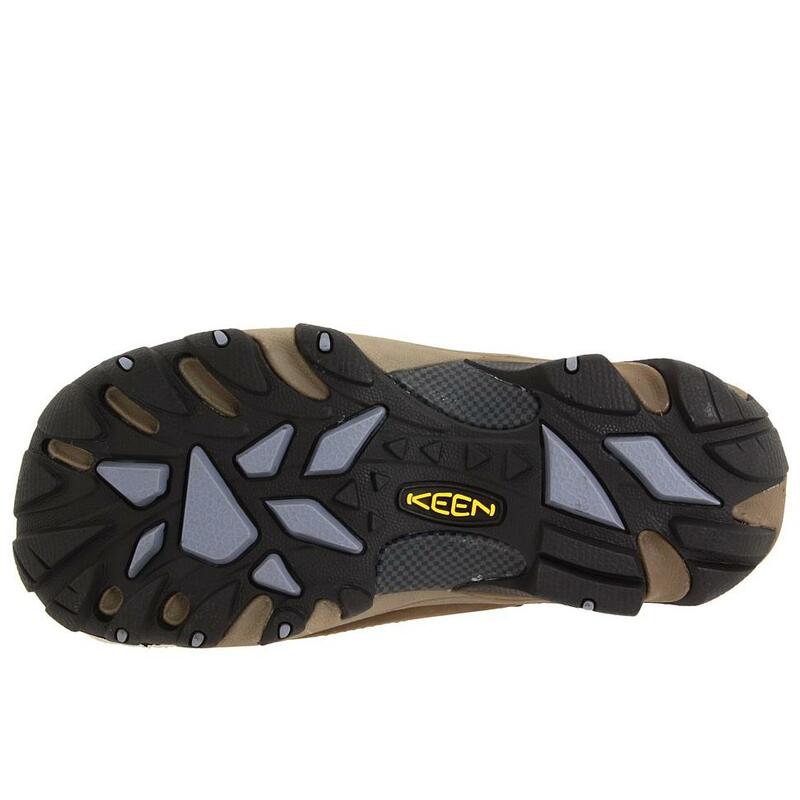 The KEEN toe guard is also very effective and provides plenty of protection on rocky terrain. For me that is essential….I have the knack of stubbing my toe on the smallest pebble! There is one drawback which is the soles of these boots don’t handle dry, powdery terrain as well as I would like. The Targhee’s come with what Keen refers to as a ‘removable metatomical footbed’ – I think that is footwear code for a removable insole. They are very comfortable with this insole and more so with the Superfeet insoles purchased separately. These are the boots I will be wearing on our upcoming hike on the Overland Track in Tasmania. That will be the longest test so far but I am very confident they will keep my feet comfortable and keep me hiking!